Lotus Cars, founded by the late Colin Chapman, was a racing car manufacturer that also built road cars, such as the Esprit and Elite. Chapman was the engineer, and a group of committed staff made his ideas come to life. 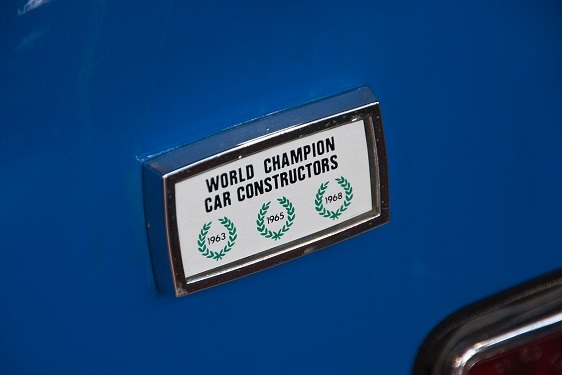 Names like Costin and Duckworth (who later joined forces as Cosworth) worked at Lotus during the '60s and '70s. Lotus did not profit much from its production line; what the company made off of the road cars was simply there to help fund the race teams. 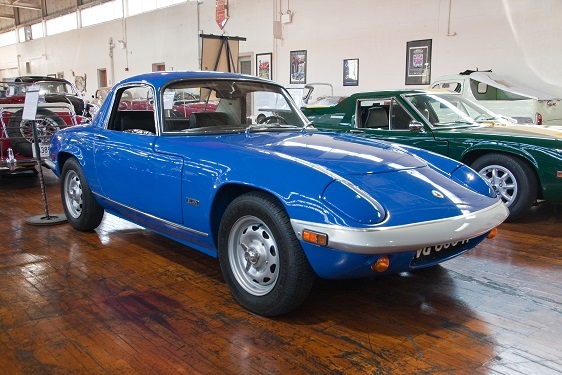 An embodiment of Chapman’s “less is more” philosophy, the Elan debuted in 1962 as a convertible and as a coupe in 1965. The four-seat Elan +2 was added in 1967. Utilizing a fiberglass body fitted over a steel backbone chassis, the car was very light, weighing in at only 1500 lbs (about 680 kg). 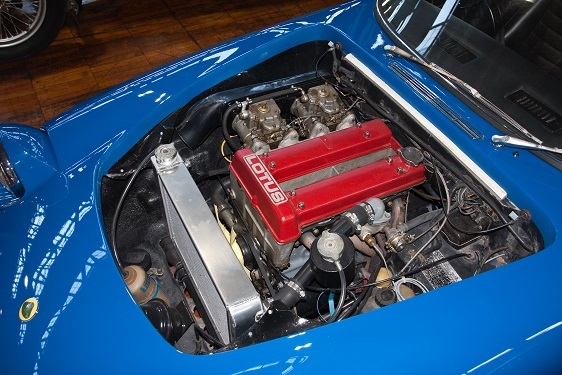 Add to that a stout dual-overhead cam 1558cc engine putting out 118bhp, along with rack and pinion steering, independent suspension, and 4-wheel disc brakes, making the Elan renowned for its performance and handling. 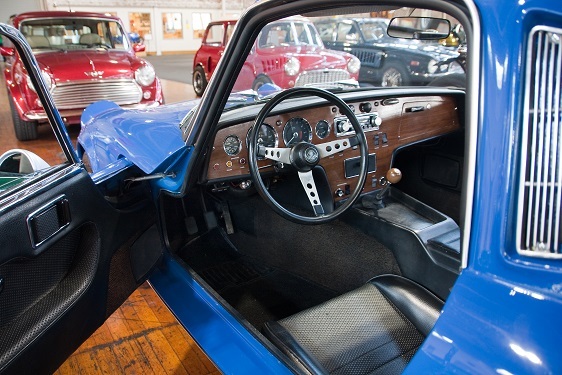 This model was featured as the car of choice for the character Emma Peel in the 1960s British TV show The Avengers. The model seen here is a Series 3, with the Special Equipment package. This included a close-ratio gearbox, servo-assisted brakes, center-lock wheels, and side repeater flashers. 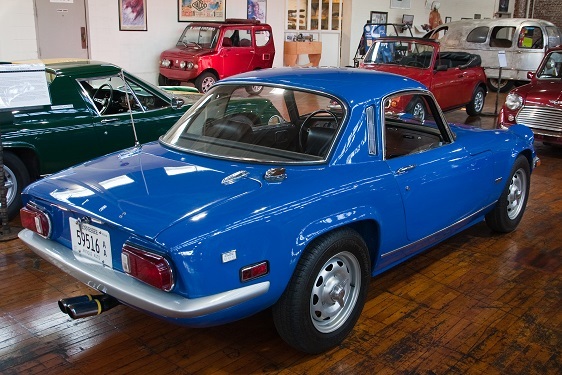 The Elan is widely regarded as the design inspiration for Mazda’s popular MX-5 Miata.